Whether you’re pursuing a traditional or contemporary kitchen design, it’s important to consider the small details in the same way you would the big ones. After all, these little details can make or break the aesthetic and functionality of your entire space. One such subtle yet impactful detail that’s an important design element is the edge you select for your chosen countertop material. This profile works well with any granite slab thickness. Simple and streamlined, it fits with any countertop pattern, and can complement other kitchen elements such as the backsplash or appliances. This profile can also have slightly rounded corners to protect against damage and help prevent injuries. A popular edge profile choice, the bullnose edge is a common element in traditional kitchen design. 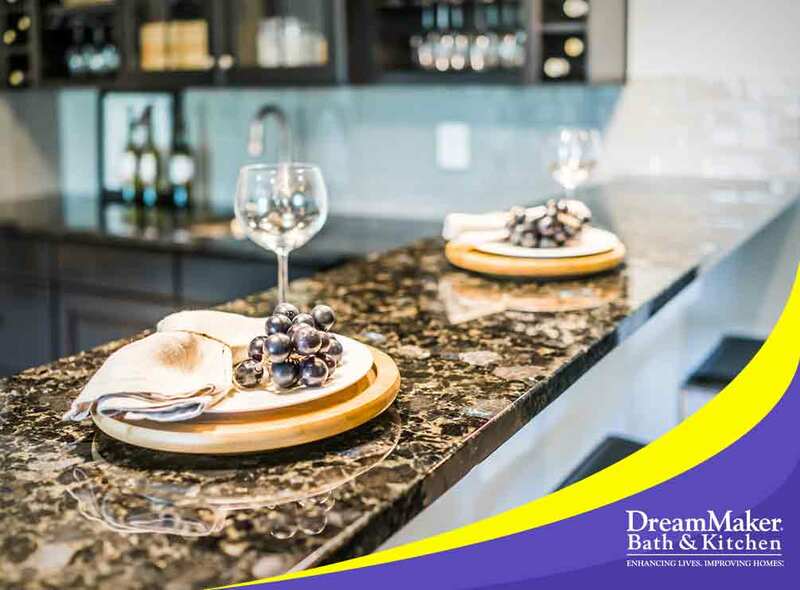 Here, the top and bottom edges are rounded to give the countertop a softened appearance and make the granite slab look sleeker and more elegant. A granite countertop with a bullnose edge is also easy to clean and keep in good condition. This edge profile is often seen in modern kitchens. It has no starting or stopping point, which means the countertop itself provides an uninterrupted visual, with the slab of granite running all the way down to the floor. It’s also one of the safest edge profile options, especially if you have children around. Trust the kitchen remodeling services of DreamMaker Bath and Kitchen for all of your kitchen renovation needs. We’ll consider every detail of your project in order to make your kitchen as appealing and functional as possible. You can be sure of our commitment to creating a working space that meets your unique wants and needs. Get started by calling (860) 506-7581 or filling out our contact form. Our service areas include West Hartford, CT, and nearby areas.